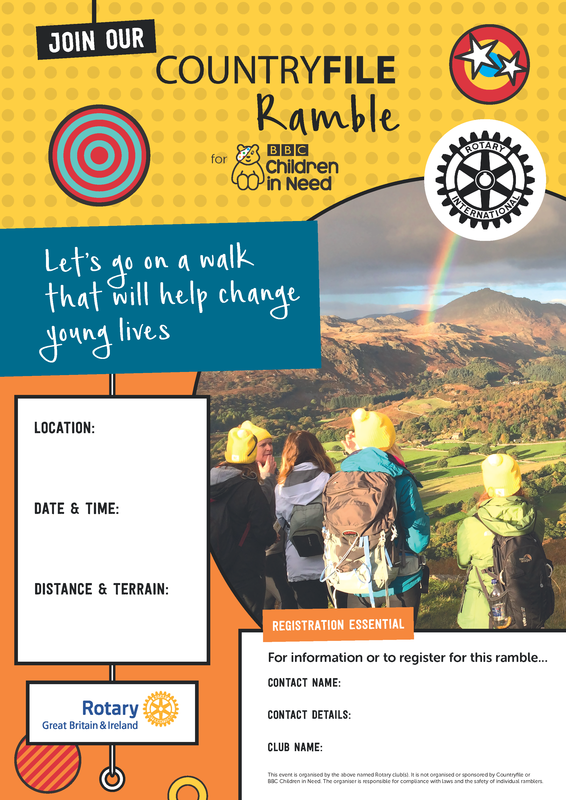 Would you like to organise a ramble to bring the community together and help raise money for BBC Children in Need? We have prepared some guidance notes with help from BBC Children in Need. This should help you to organise your own event. Help is on hand - get in touch today! Download the poster and advertise your event using the press release template here. Let us know when and where your ramble will take place and we will help to advertise it for you and will publish details of the event on our website and social media. When the event is over, we will broadcast the total raised and any photos you take will be added to our social media. ​Use the form below to let us know you are interested and keep in touch!